Leave the weekly meal planning, and preparing to us. We pack to deliver "Simple, Fresh & Delicious" meals that are consistent, convenient, and catered to your palette. Our emphasis combines health with outstanding flavor. Choose from kid friendly, gluten-free, vegan, vegetarian, allergy, and dietary specific menus. Your dietary needs, and desires formulate our recipes. Menus are ever-changing, coinciding with the best fresh that the local market offers. We consider availability, seasonality, and quality of ingredients. We want your input. Our goal is that our menus are the right fit for you and yours, and the company you keep! Chef Minas wants to delight you, your family, and your guests with exceptional meals in the comfort of your own home! Eat like the celebrities, and state officials that he previously served. Invite him into your kitchen, and dining room for an in home experience, chosen to satisfy your palettes. Working with the host, Chef Minas creates the menu, from cocktails and hors d'oeurves, soups and salads, to wine pairings, steaks, and delectable desserts! We look forward to serving you soon. Invite Chef Minas into your homes or local venues to organize a class or party that makes delicious memories. Imagine the conversation after a fun, educational, and interactive cooking class. We offer a range of cooking sessions designed for you, and your guest’s interests. The promise is to educate, expand, and enhance everyone's cooking ability. Cooking classes, and parties are the perfect way to gather around, creating an experience that all enjoy! Available for groups of 8 or more, as well as large groups. Chef Minas makes your celebration special! A menu catered to delight your gathering with an elevated experience. Chef Minas, and team work with the host(s) of the function to plan a menu that is enticing, and appetizing for all guests, delivering appealing, and interesting flavors. Wedding, birthday, celebration, private dinner, and more... we are there for you! We endeavor to make your revelry unforgettable. 16 years of industry experience, the author of the cookbook Viva La Florida “Simple, Fresh & Elegant Recipes from the Florida Governor's Mansion”, and multiple restaurant establishments under his belt, Chef Minas’ greatest desire is to share his expertise. Minas is available for recipe development, kitchen testing, restaurant concept building, cookbook consulting, and any other culinary need. Chef Minas guides you to better your business, ideas, and menus. 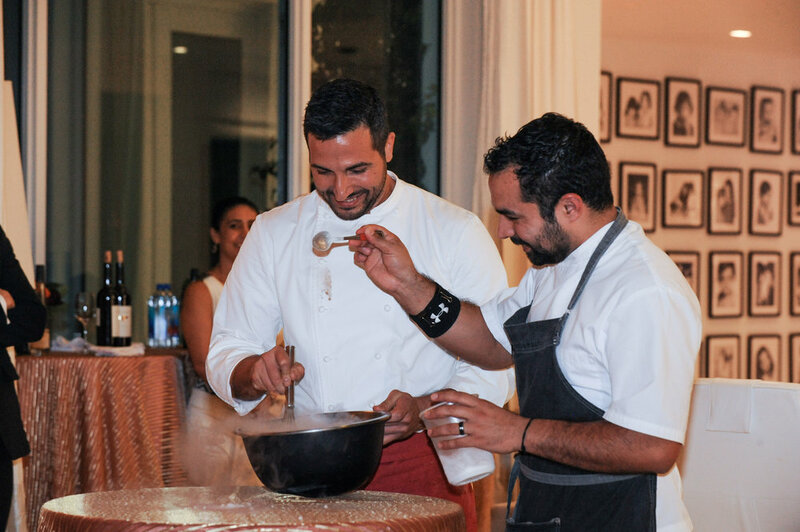 Cooking Classes and lessons available for a wide range of parties from Chef John Mikhail Minas.